It seems that every time you see a celebrity rolling around, they’re riding or driving one of the best luxury SUVs. There’s just something about the added space, the monstrous presence, and the tenacious look of a decked-out SUV; it just seems to appeal to the rock star in all of us. 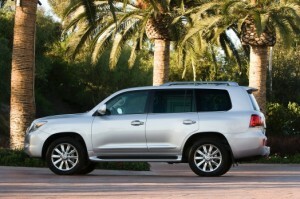 So which luxury SUVs of the 2010-2011 model years are the absolute best to the best? Well, if you were thinking that we were just about to tell you, you’re absolutely right. All information for this article was taken from top research at Car and Driver, Consumer Reports, Edmunds, and Motor Trend. The GL-Class Mercedes comes in three styles, each with a progressively larger engine choice. None of these engines is lacking for power and all provide ample acceleration; it’s just a question of where you want to be in terms of interior space and fuel efficiency. 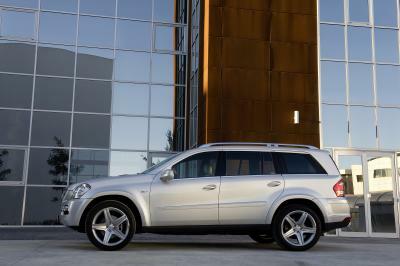 In regards to interior space, the GL is one of the leaders in the SUV class. The third-row seat is big enough to seat two full-grown adults comfortably, no matter which style you choose. Steering is light and responsive, and the 3.0L V6 BlueTec diesel is so remarkably quiet you may forget it’s a diesel. We would mention some of the luxuries here, but it is a Mercedes so…you get the picture. To find a luxury SUV for this price should have jaws dropping everywhere, let alone one of such quality as the MDX. It’s larger than the more expensive BMW X5, better on fuel than the Land Rover LR4, and has a third-row seat, unlike the Lexus RX 350. 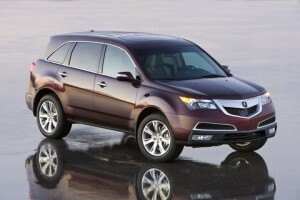 The MDX offers a little bit of the best of each of these, and costs much less as well. The AWD drive gives it tremendous handling on winding roads; the Advance package’s suspension makes bumps in the road feel non-existent; and, the six-speed transmission shifts smoothly and quickly in both directions. Add to that the fact that the MDX’s cabin is a techie’s dream, and this is definitely one of the best values you’ll find. Don’t just think luxurious, think big. 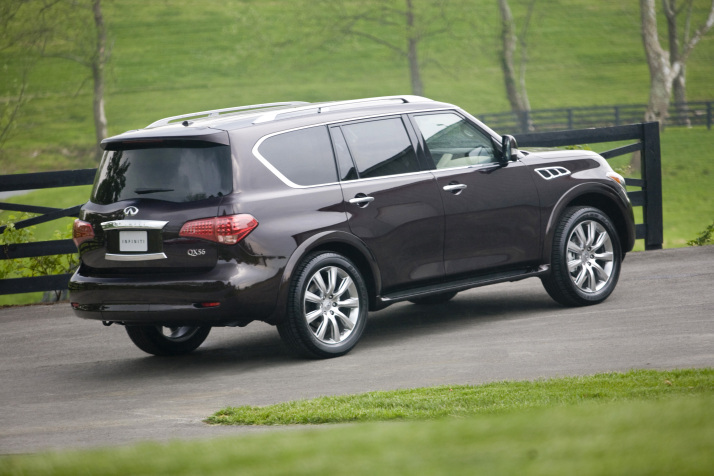 The QX56 is nearly big enough to live in, and definitely nice enough. Despite its massive weight, it’s surprisingly spritely off the line, working its way to 60 mph in just 6.8 seconds. Despite all that extra size and power, the Infiniti boasts a fuel economy of 14/20 mpg (city/highway) with two- or four-wheel drive. This bests its competitors by a few miles per gallon. The interior is spaciously luxurious, covered in rich leather or regal wood trim. Opting for the active suspension will also get you the 22-inch wheels, which is actually the one drawback since this makes bumps and potholes much more noticeable. Not much changes from the 2010 to the 2011 model years of the LX 570, but the ’11 model will give you more updated technology with a better navigation system, more sophisticated voice recognition capabilities, and an upgraded audio system. In terms of everything else, the 570 pretty much stays the same: it has it all. 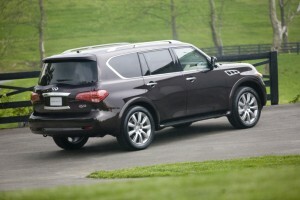 This may be the most versatile of all the luxury SUVs; the jack of all trades if you will. A very powerful V8, remarkable acceleration, superior towing capacity (8,500 lbs. ), and a stylish high-end interior are all traits of the Lexus. Unfortunately, so is the highest price, which puts it at number four on the list. Still, you can’t get much better in terms of a luxury SUV if you’ve got the coin to back it up.